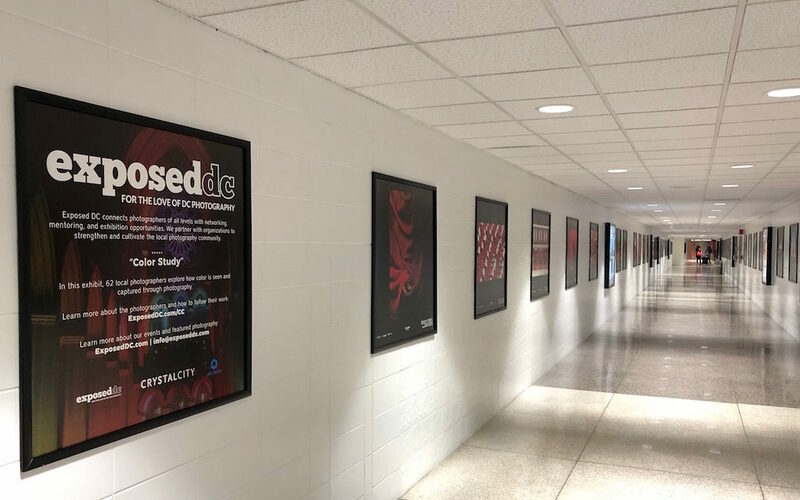 Exposed DC is proud to partner with the Crystal City Business Improvement District and JBG Smith for the Fotowalk exhibitions in the Crystal City Underground. We’ve produced six exhibitions there since 2016, including our latest which features 62 photographers whose images explore how color is seen, captured, and used through photography. Save the date for our Spring 2019 exhibition and join us for an opening reception at Gallery Underground on April 5 from 5-7 p.m. as part of Crystal City’s First Fridays. The exhibit will feature 62 photographers whose images explore how color is seen, captured, and used through photography.